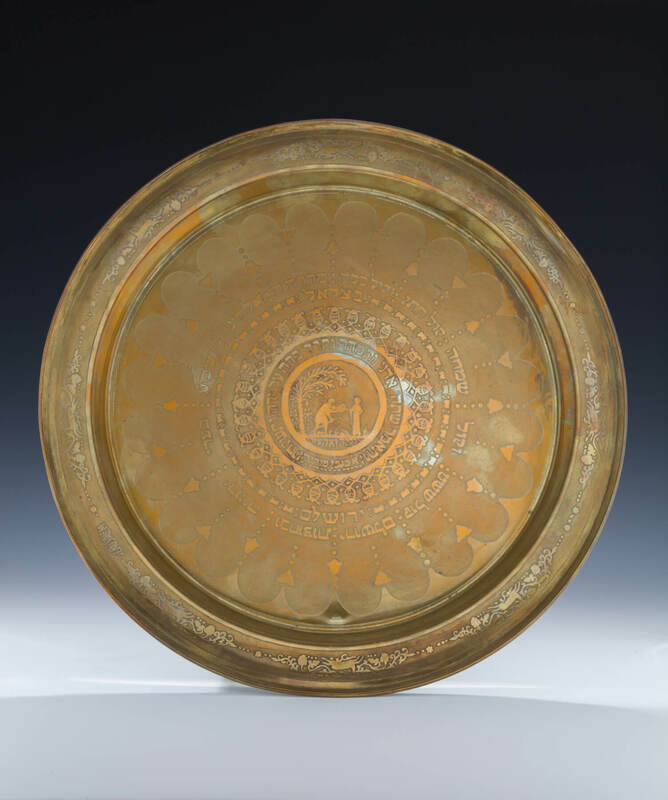 A LARGE BRASS WEDDING DISH BY BEZALEL. Jerusalem, c. 1915. Acid etched with the story of Rebecca and Eliezer. 16.4” wide.